How do homebirth midwives handle mistakes? They bury them, of course, and a recent study from New Zealand is yet another case in point. 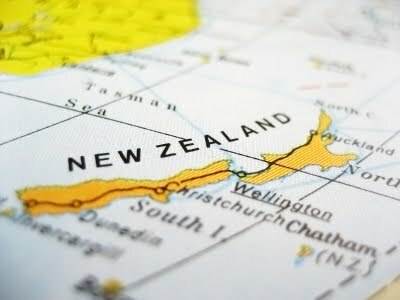 From the title,Planned Place of Birth in New Zealand: Does it Affect Mode of Birth and Intervention Rates Among Low-Risk Women?, to the conclusion, the authors refuse to address the increased neonatal death rate. In fact, the authors go so far as to deliberately obfuscate the increased neonatal death rate at homebirth. Women planning to give birth in secondary and tertiary hospitals had a higher risk of cesarean section, assisted modes of birth, and intrapartum interventions than similar women planning to give birth at home and in primary units. The risk of emergency cesarean section for women planning to give birth in a tertiary unit was 4.62 (95% CI: 3.66–5.84) times that of a woman planning to give birth in a primary unit. Newborns of women planning to give birth in secondary and tertiary hospitals also had a higher risk of admission to a neonatal intensive care unit (RR: 1.40, 95% CI: 1.05–1.87; RR: 1.78, 95% CI: 1.31–2.42) than women planning to give birth in a primary unit. Planned place of birth has a significant influence on mode of birth and rates of intrapartum intervention in childbirth. The neonatal death rate in the planned homebirth group was 1.1/1000. The neonatal death rate in the planned hospital birth group was 0.3/1000. In yet another example of a strikingly robust finding, planned homebirth in NZ had more than triple the neonatal death rate of planned hospital birth. Data were obtained from the [Midwifery Maternity Provider Organisation (MMPO) database] for a total of 39,677 births. Of these, 16,453 (41.47%) met the study’s low-risk criteria. Of this low-risk group, 11.3 percent were planning to give birth at home, 17.7 percent in a primary unit, 45.5 percent in a secondary level hospital, and 25.4 percent in a tertiary level hospital. Where did the women ultimately give birth? Most women gave birth in their planned place of birth; 82.7 percent of those planning a home birth, 90.2 percent planning to give birth in a birth center, 99.8 percent planning to give birth in a secondary hospital, and 99.8 percent planning to give birth in a tertiary hospital actually gave birth in their planned place of birth. In other words, the transfer rate in the homebirth group was 17.3%; the transfer rate in the birth center group was 9.8%. The authors are very excited about the difference in intervention rates among these groups, presented in the following table. Not surprisingly, the risk of operative vaginal delivery and the risk of emergency cesarean section are much higher in the hospital. The authors do not define “emergency cesarean” but they apparently mean unplanned, not true emergency C-sections. So the homebirth group had lower rates of major interventions and the homebirth group had lower rates of minor interventions. How about deaths? The authors of this paper should be ashamed of themselves. They didn’t want anyone to know that homebirth had triple the neonatal death rate of hospital birth, so they deliberately obscured it by using the wrong denominator in their calculations. The authors brazenly assert that no differences for planned place of birth were noted. That is simply a lie. Homebirth in New Zealand has triple the neonatal death rate of hospital birth. The finding of lower intervention rates in the homebirth group is nothing to celebrate when more babies died as a result. The study authors concluded that the study was too underpowered to confirm neonatal mortality risks. And yet Amy, you decide you can use an underpowered study to claim that, “Homebirth in New Zealand has triple the neonatal death rate of hospital birth.” Lame. You expect to be taken seriously with that? Also, the authors clearly didn’t ‘hide’ any findings. This study was about place of birth, the options being home, primary, secondary, or tertiary, not hospital births all joined together.